Sunny Hills villas is holiday development only 15 minutes drive from Bourgas airport located in the picturesque village of Bryastovets (click to see it on the map), 5 minutes walk from holiday complex Meadow View Villas and Royal Villas. This complex consists of 3-bedroom holiday villas with shared swimming pool (7 x 15 metres) and 2 covered BBQ’s. The villas are detached with a lot of green space between. A villa in Sunny Hills villas is the perfect accommodation if you are looking for varied holiday away from the crowded resorts. If you check our rates below you will see that reniting a self catered villa in Bulgaria can also be very cheap. All villas here have 3 double bedrooms and can accomodate 6 people. You stay in a massive one-storey detached house designed and completed for a comfortable holiday. The house has three bedrooms – two double bedrooms, and one twin bedded room, one shower room, a kitchen with dining table for six, and living lounge with Satellite TV and DVD. The kitchen is fully equipped with cooker, fridge, freezer, and all the cutlery and pottery.A wonderful breakfast and seating opportunity is offering the veranda in front of the house. Enjoy your holiday with a book in the hand in the shade of the veranda surrounded by the sounds of the birds and nothing else. For alfresco dining there are 2 stand alone BBQs with dining tables for 18 (resp. 12) under the shade of the massive tiles covered roof. You will get a good night’s sleep here! You live in rural village, far away from the bustle of the city with its humming motorbikes and honking cars. Set in an area famous for its wine and brandy, Bryastovets has pleasing hills and plains with stunning views. Ideal for walking in the hills, painting, fishing, photography, bird watching or just plain relaxing! Tucked away in a pretty green village, surrounded in the traditions of Bulgarian country living changed little by the modern world, we offer a warm welcome. Enjoy a tranquil holiday in beautiful rural Bulgaria with lots of sun, peaceful surroundings and fresh local produce. While the quiet location is far from every disturbance you are still 20 minutes drive (south) to the city of Bourgas and again 20 minutes drive (west) to the largest and best known holiday resorts of Sunny Beach and Nessebar where you can refuel yourself with energy, stroll trough antic alleys, swim in the blue sea or having a delicious meal and refreshing drinks in one of the hundreds pubs, bars and restaurants. The beaches are of beautiful golden sand and the sea is safe for children. All family activities include water parks, water sports, go-kart, cycling, windsurfing, jet skis and bungee jumping. We are sorry but pets are not permitted due to the fact that ongoing clients may have an allergy to animals.Our changeover day is flexible. This makes it easier for you to find suitable and cheaper flights.We can assure you that you will not feel like a stranger after your arrival. At the house you will find a folder with the most useful information written in English & map of the area. It gives you a short information about the area with way description to the local stores and bars and very detailed road description to Sunny Beach and Bourgas (big supermarkets). We are on the site every day and will try to help you in any way we can. You will have our mobile phone numbers in case of emergency. Our guests will find an exciting feaute in Sunny Hills villas – a 9 hole miniature golf course. Minigolf is game for all ages. Believing this we decided to put this nice extra to your holiday in Bulgaria (additional charge applies). Our miniature golf course is interesting to play, it will not bore you after the first game will keep your interest for your whole vacation. Our holes follow the natural elevation of the ground plus we have added some artificial undulations. We are flexible though and this can be changed depending on availability. We provide transfer service from Burgas Airport (BOJ) to the villas. The transfer can be booked separately and paid on arrival. Return transfers will be charged at the same rate. Transfers from all other airports can be provided on request. Thank you for the great summer! Looking forward to see you again! All was as advertised, the owner is a very nice guy, very friendly, location is very close to Burgas. Plenty of services available for the rental, including cleaning, laundry washing, cot and high chair rental. We even broke a couple of plates and the owner didn’t want any money for it. Lovely swimming pool, beautiful light at this time of the year, lovely little garden, set in a charming small village. Only negative point would be the Wifi which is sporadic inside the property, but better outside. Satellite TV not boasting a lot of relevant channels. However one doesn’t go to such a holiday location to spend their time on the internet or watching TV! 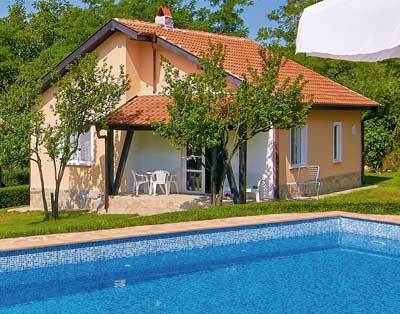 The holiday home is about 25km from Burgas in a very quiet location. It is a part of a small complex of 16 houses, every house has its own mowed garden, which is very well maintained, the pool is also very well maintained and can be used by all guests. There were not many people at the pool while our stay though. The maintenance of the complex and pool were very good and discreet. Check-in and was very easy, we were met within five minutes after our arrival at the complex. The hosts are very friendly and helpful, they helped with a car hire too. After the first week we have got fresh towels and bedding. We want to heartily thank you for the warm welcome and support! Strongly recommended!!! This is a pefect location for a relax holiday. I have only good comments and say to everybody ..try this..! 2017 was a special year for sailing in Bulgaria. The Black sea port town of Burgas was chosen ahead of 64 other competing European cities to host the European championships in Optimist sailing. For those of you who don’t know exactly what an Optimist is, it is a small sailing dinghy, usually made of fiberglass and intended for use by children up to the age of 15. For us in Bryastovets it was especially interesting to follow the championship this year as we had the privilege of having the family of one of the competitors, Serbian Stefan Yuill, staying in one of our holiday villas. Needless to say Stefan’s family were ecstatic when Stefan was crowned the 2017 European Optimist Boy Champion! So whether you are thinking of coming to Bryastovets for the first time or perhaps contemplating returning for yet another wonderful holiday in the sun, you can be sure you will be in good company. It is not every holiday destination in Bulgaria that can boast of having had the honor of a real European champion’s family staying with them! Lovely villas in a quiet complex. The villa, grounds and swimming pool are clean and well maintained. The village, within walking distance, has a pub / restaurant. Although its menu is limited, it is cheap and friendly and the barman speaks good English. The villa is within 25 minutes drive from Nessebar and Sunny Beach, but you will definitely need a car. There is a lovely barbecue area, with seating, which we very much enjoyed. Iliya and his wife were very welcoming – they have a tradition of putting up their guests’ national flag at the villa to make them feel at home! I would recommend Sunny Hills for a family holiday. Très bon séjour dans cette résidence, bon accueil. Fait pour la famille. Un entretient quotidien de la residnce rend le séjour agréable. Je recommande cet endroit. Very good stay in this residence, good welcome. Made for the family. A daily maintenance of the residnce makes the stay pleasant. I recommend this place! Villas are in a very quiet location perfect for relaxing. Clean and spacious with a pool. Owner is a great host and is willing to help out with local information and assist with taxis and advise. The place was very accurate as I see in the picture beautiful place, very quite place. you need a car to get there. The hosts send to me link to Google map, it was very helpful to find the place. Very nice people. very recommend. We had a beautiful moment in this great house with our family. Thank you again for your kindness and your smiles. Hoping to return soon. Un magnifique moment dans un cadre familial parfait. Encore merci pour votre gentillesse et vos sourires. En espérant revenir très vite. We would like to thank you for our by now third holiday with you. It was again perfect and we enjoyed it much for three weeks. The weather was great, and the mood was excellent as usually. The staff is friendly and everything is well maintained and clean as we know it. We will be happy to return again next year to spend our family holiday in Bryastovets again and to relax. Wir möchten uns bei Euch allen für unseren tollen und mittlerweile dritten Urlaub bei Euch recht herzlich bedanken. Es war wieder wunderschön bei Euch und wir haben uns in den 3 Wochen sehr wohl bei Euch gefühlt und uns sehr gut erholt. Das Wetter war toll, die Atmosphäre bei Euch wie immer super toll. Das Personal von Euch super freundlich, alles super gepflegt und sauber, wie immer. Wir werden Euch nächstes Jahr mit Sicherheit wieder besuchen kommen, um unseren Familienurlaub bei Euch zu genießen um uns zu erholen. This is an excellent holiday complex for families with small children. Clean, safe, comfortable, and beautiful surroundings. Clean and comfortable swimming pool. The houses are equipped with all the necessary and consistent with the description and photos on the site. Conveniently located 25 km from Burgas, Nessebar and Sunny Beach. Hospitable hosts who speak Russian. There were no problems with the check-in and accommodation. We had a great holiday. Thank you! Отличный комплекс для отдыха семьям с маленькими детьми. Чистая, безопасная, уютная и красивая территория. Чистый и удобный бассейн. Домики оборудованы всем необходимым и соответствуют описанию и фото на сайте. Удобное расположение в 25 км от Бургаса, Несебра и Солнечного Берега. Гостеприимные хозяева, говорящие на русском языке. Не было никаких проблем с размещением и проживанием. Мы прекрасно отдохнули. Спасибо! This July we enjoyed realy nice holiday. We came 5 people (2 adults and 3 children). What a surprise to find such a lovely, luxury and calm place in the middle of village which has appeared for the first look no inhabitable. Nice pool very close to villa, 100% services and kind staff always ready to accomplish all your needs. We can give our best reports. Thanking again. Wir verbrachten zwei Wochen in einer der Sunny Hill Villas und haben uns wohl gefühlt. Unsere Gastgeber waren freundlich, jederzeit ansprechbar und sehr hilfsbereit. Die Anlage liegt in einem Dorf abseits der Touristenzentren. Das Haus und die Anlage sind gepflegt und ruhig. Vor allem unsere Kinder genossen den großen Swimmingpool. Strände und Sehenswürdigkeiten sind mit dem Auto gut zu erreichen. Danke für den schönen Aufenthalt. We spent our two weeks family holiday in July/August 2014 in this small and fine complex. It is very quiet and beautifull, located in a samll village about 20 min drive to Bourgas that is why you need a car to get around (very interesting and pleasant). The on site mini golf and swimming pool were kept clean and in perfect order and perfectly adequate for us. The staff of the complex was very kind and courteous. Overall, we liked it here so much that we will come back again in the summer of 2015. Wir haben im Juli/August 2014 in dieser kleinen feinen Anlage unseren zweiwöchigen Urlaub verbracht. Die Anlage liegt sehr ruhig und idyllisch, in einem kleinen Dorf ca. 20 Minuten Autofahrt entfernt von Burgas. Aufgrund der Abgeschiedenheit benötigt man auch für Besichtigungen in der Umgebung ( zahlreich und sehr interessant ) einen “mobilen Untersatz”. Die Angebote in der Anlage (Minigolf und Swimmingpool ) waren immer sehr gepflegt und sauber und für uns völlig ausreichend. Auch das Personal, das für diese Sauberkeit sorgte, war sehr nett und zuvorkommend. Insgesamt hat es uns hier so gut gefallen, dass wir im Sommer 2015 wieder hierher kommen werden. We had a good holiday with our family! The holiday villas are quiet and with car is everything (shops, beach) is within easy reach. Houses are clean and the managers are very helpful. Highly recommended! August 2013 [Original message from guest:] Leuke vakantie gehad met ons gezin! Vakantiehuizen zijn rustig gelegen maar met de auto is alles (winkels, strand) makkelijk te bereiken. Huizen proper en de managers zijn heel behulpzaam. Een aanrader! We spent an enjoyable holiday in Sunny Hills Villas. The villas are well equipped, clean and spacious. The pool is cleaned every day. The villas are located in a garden with trees, the surroundings are clean and neat, peace and quiet. Great place for families with children. The beaches in Bourgas, Ravda and Nessebar about 20 km away. The hosts are very welcoming and helpful. Strongly recommended. Regards and thank you for staying..
Our vacation was nice and very relaxing. The complex is very good constructed – each house has its own garden with fruit trees, there is a lot of space for the children to play. The house is clean and you are given fresh linen and towels for each family member. The garden is maintained daily and it looks very inviting (and the same as on the pictures). For the days on which you prefer to stay in the complex, there is a large swimming pool. If you want to go out – there are a lot of beaches only 15-20 drive minutes away. The mini-golf course offers additional fun for all ages, even at night, as everything is very well lit. Additionally, there is a very nice covered barbeque area, where you can cook and eat with the other guests in any weather. This is our second vacation here, and the children are keep asking when we are going back. Thank you again for the nice memories and the great holiday! The hosts are very friendly; they speak good German and English, respond quickly and are very helpful. They are welcoming the guests personally regardless the weather and the time of your arrival – the first time we arrived at three o’clock at night, but our hosts were waiting for us and accompanied us to the complex. They are very nice, always available, very helpful and open. They can give you tips which beaches and places of interest to visit, so just ask them! We would like to thank you again. See you soon! Unser Urlaub bei Ihnen war erholsam und sehr schön, die Kinder wollen immer wieder zurück. Die Ferienanlage ist schön aufgeteilt, jedes Haus hat einen eigenen Garten mit Obstbäumen, und bietet genug Platz zum Austoben. Das Haus ist sauber und man hat frische Bettwäsche und Handtücher für jedes Familienmitglied. Der Garten wird täglich gepflegt, deshalb sieht es sehr einladend aus (seht die Fotos, genauso sieht es auch aus). Das große Schwimmbad ist eine Abwechslung für Tage an denen man nicht rausfahren möchte, sonst sind verschiedene Strände in 15-20 Autominuten zu erreichen. Die Mini- Golfanlage bieten zusätzlichen Spaß für Groß und Klein, auch spät abends, denn alles ist beleuchtet. Zusätzlich gibt es einen schönen überdachten Grillplatz, wo man gemeinsam mit anderen Gästen bei jedem Wetter grillen, essen, schwimmen und spielen kann. Uns hat es hier zum zweiten Mal Spaß gemacht und unsere Kinder fragen immer wieder ob wir hin fahren- also ist der Urlaub gelungen wenn viele schöne Erinnerungen bleiben. Vielen Dank. Das Personal ist sehr freundlich, spricht gut Deutsch, antwortet sehr schnell und hilft bei der Suche nach geeignetem Häuschen. Sie werden bei jedem Wetter und bei jeder Uhrzeit begrüßt, egal wann Sie ankommen (wir waren beim ersten Mal um drei Uhr nachts angekommen). Noch sind die sehr nett, täglich ansprechbar, sehr hilfsbereit und offen. Wir haben eine Menge Tipps bekommen, wo man hinfahren kann, wo welche Strände gib und was man sonst unternehmen kann. Einfach fragen Sie sie! Wir bedanken uns noch mal bei Ihnen. Bis bald!!! My name is Iliya Nikolov. I am the owner and manager of Bulgaria Villa Ltd, the company running this website for holiday villas and apartments in Burgas and Sunny Beach area, Bulgaria. Our business is family-owned and operated – my wife and my two sons are helping me out with the business on a daily basis. We are all looking personally after all our guests. Our company maintain all holiday properties on our website – villas and studios, swimming pools and gardens. We have been hosting people in our holiday villas and apartments from all over the world and we really do put a lot of effort to make our guests’ stay as smooth and memorable as possible. You can always count on our help, advice or assistance. We can help you with maps, route instructions, travel tips, and other support services that will make your self-catered vacation in Bulgaria exciting and hassle free. Is Bulgaria part of the EU? Please complete the form below to send us a message or ask a question!